I decided to make a short video to show this little condo community. It is located adjacent to 304. 304 Runs north and south between New City and all the way down to pearl river. Even at the peak of traffic, this "noise" wasn't really noise. It was absolutely tolerable and I think most likely would not be a problem. 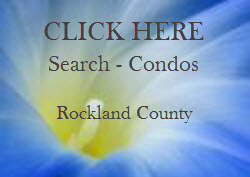 Braemer is a very popular condo community and the turnover there is rare. Braemer Court in New City NY and all of Rockland County, NY. Where is Braemer Court in New city | Rockland County NY ?